Mapfre Team Mahindra rider Francesco Bagnaia, nicknamed “Pecco”, nearly achieved a place on the podium in the opening round of the world championship held on 29th of March, but was sent flying on the final lap by another race. Being his first race on the all-new 2015 Mahindra MGP3O, the young Italian fought his way to the front of a fearsome 11-strong pack disputing the race, to take the lead on the 14th of 18 laps at the Losail International Circuit. He was still well in the fight, lying third as they started the final lap. But halfway round the 5.380-km circuit in the desert outside the capital of Doha, another rider collided with the bright red Mahindra. Bagnaia was sent sliding off the track onto the adjoining turf but amazingly kept control, regaining the tarmac, and crossed the line in ninth place, still less than a second behind race winner Alexis Masbou’s Honda. While, second Mapfre Team Mahindra rider Jorge Martin was not far behind, taking a hard-fought 15th place in his first GP, to claim points first time out. Third teamster Juanfran Guevara was 18th, less than four seconds behind. Developed by Mahindra engineers in the company’s new technical centre near Varese in Italy, it was a brilliant first race for the all-new Mahindra Moto3 racer. Mahindra gave three more young drivers, an opportunity, to race in their first GP. Darryn Binder (Qutox Reset Drink Team) finished 19th, Tatsuki Suzuki (CIP) was 23rd, and substitute rider Marco Bezzecchi (San Carlo Team Italia) 26th. His team-mate Matteo Ferrari was 21st; while Remy Gardner (CIP) crashed out trying to recover from a bad start. With Mahindra running the ‘Live Young, Live Free’ campaign; their regular participation in such events is expected and still, it remains the only Indian constructor in this World Championship series. 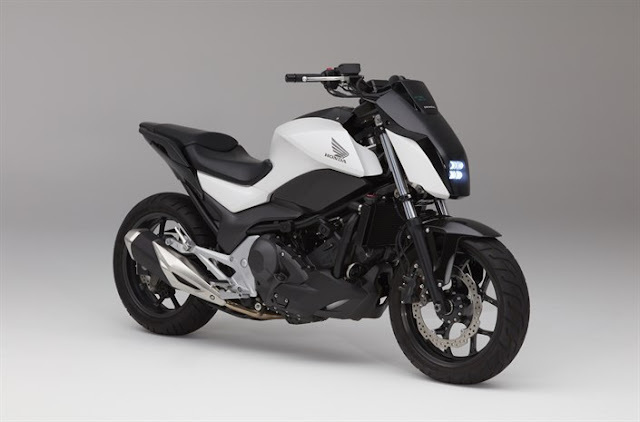 Specs of the bike: Mahindra is competing as a constructor in its fourth year in the Moto3™ class of MotoGP with its own 4-stroke, 250cc motorcycle: the Mahindra MGP3O. Riders: Mahindra Racing supplies the bike to four teams with a total of nine riders on the grid: Mapfre Mahindra Aspar - Jorge Martin (SPA), Francesco Bagnaia (ITA), Juanfran Guevara (SPA); Outox Reset Drink Team - Alessandro Tonucci (ITA), Darryn Binder (RSA); CIP - Remy Gardner (AUS), Tatsuki Suzuki (JPN); San Carlo Team Italia - Matteo Ferrari (ITA), Stefano Manzi (ITA). 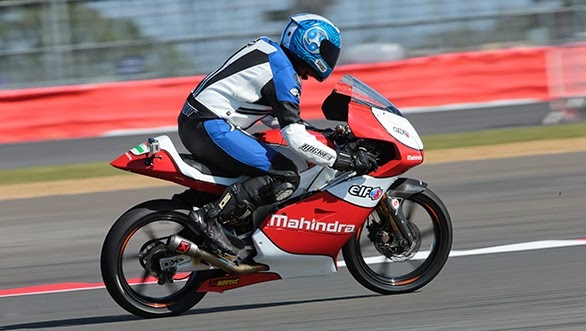 Mahindra Racing became the first Indian team to participate in the FIM MotoGP™ World Motorcycle Racing Championship series in 2011 and the Italian National Motorcycle Racing Championship (CIV) in 2012. Mahindra Racing made history in the 2013 Malaysian Grand Prix taking the first-ever podium for an Indian constructor. The MGP3O recorded top-five finishes in 10 of the 17 rounds in the 2013 World Championship as well as a pole position, three circuit lap records and third in the Constructors’ rankings. The 2014 season saw a further three podium finishes for the Indian motorcycle, including second place at the Sachsenring. As well as its commitment in the World Championship, Mahindra continues to supply MGP3O machines to Team Aspar to compete in World Championship feeder series, the FIM CEV Repsol Moto3 Junior World Championship in 2015. Mahindra’s bold decision to take on the world’s best at the highest level of motorcycle racing has won the team a number of prestigious awards in India, including: the NDTV Car and Bike Awards - 'Mobil 1 Motorsport Award of the Year', 2012 and 2013; the Bike India Magazine - 'Motorsport Award', 2013; and 'ZigWheels Motorsport Award of the Year', 2012.